The Macklin Math Cancer Lab is pleased to welcome Gianluca D’Antonio, a M.S. student of Luigi Preziosi and mathematician from Politecnico di Torino. Gianluca, who brings with him a wealth of expertise in biomechanics modeling, will spend 6 months at CAMM at the Keck School of Medicine of USC to model basement membrane deformation by growing tumors, biomechanical feedback between the stroma and growing tumors, and related problems. Gianluca’s interests and expertise fit very nicely into our broader vision of mechanistic cancer modeling, as well as USC / CAMM’s focus on applying the physical sciences to cancer (as part of the USC-led PSOC). He is our first international visiting scholar, and we’re very excited for the multidisciplinary work we will accomplish together! So, please join us in welcoming Gianluca! Next Monday (October 17, 2011), the USC-led Physical Sciences Oncology Center / CAMM will host a short course on multidisciplinary cancer modeling, combining the expertise of biologists, oncologists, and physical scientists. I’ll attach a PDF flyer of the schedule below. I am giving a talk during “Session II – The Physicist Perspective on Cancer.” I will focus on tailoring mathematical models from the ground up to clinical data from individual patients, with an emphasis on using computational models to make testable clinical predictions, and using these models a platforms to generate hypotheses on cancer biology. 7:00 am – 8:25 am : Registration, breakfast, and opening comments, etc. After a lot of revision, I have merged my two papers on ductal carcinoma in situ (DCIS) in to a single manuscript and resubmitted to the Journal of Theoretical Biology for final review. A preprint is posted at my website, along with considerable supplementary material (data sets and source code, and animations). Thanks to my co-authors and other friends for all the help in the revisions. Thanks also the reviewers for insightful comments. I think this revised manuscript is all the better for it. DCIS is a precursor to invasive breast cancer, and it is generally detected by annual mammographic screening. More advanced DCIS (with greater risk) tends to have comedonecrosis–a type of cell death that leaves calcium phosphate deposits in the centers of the ducts. In fact, this is generally what’s detected in mammograms. DCIS is usually surgically removed by cutting out a small ball of tissue around what’s found in the mammograms (breast-conserving surgery, or lumpectomy). But current planning isn’t so great. Even with the state-of-the-art in patient imaging and surgical planning, about 20%-50% of women need to get a second surgery because the first one didn’t get the entire tumor. So, there’s great need to understand calcifications, and how what you see in mammography relates to the actual tumor size and shape. And if you do have a model to do this, there’s great need to calibrate it to patient pathology data (the stuff you get from your biopsies) so that the models say something meaningful about individual patients. And there has been no method to do that. Until now. (As far as I know), this paper is the first to calibrate to individual patient immunohistochemistry and histopathology. This, along with some parameter estimates to the theoretical and experimental biology literature, allows us to fully constrain the model. No free parameters to play with until it looks right. Any results are fully emergent from a mechanistic model and realistic parameter estimates rooted in the biology. This model also includes the most detailed description of necrosis–the type of cell death that results in the comedonecrosis seen in mammograms. We include cell swelling, cell bursting, gradual loss of fluid, and the very first model of calcification. The model predicts that a tumor grows through the duct at a constant rate. This is consistent with what’s actually seen in mammography. The model gives a new explanation for the known trend: when necrotic cells burst and lose fluid, it makes it more mechanically favorable for proliferating cells to push into the center of the duct, rather than along the duct. For this reason the model predicts faster growth in smaller ducts, and slower growth in larger ducts. The model predicts growth rates between 7.5 and 10 mm per year. This is quantitatively consistent with published values in the clinical literature. The model predicts the difference between the size in a mammogram and the actual size (as measured by a pathologist after surgery) grows in time. This unfortunately means that it’s unlikely that there is some “fixed” safe distance to cut around the mammographic findings. On the other hand, the model predicts that there is a linear correlation between the size in a mammogram and the actual (pathology) tumor size. This bodes well for future surgical planning. Better still, the linear correlation we found quantitatively fits through 87 published patients, spanning two orders of magnitude. The model predicts that fast swelling of necrotic cells (on the order of 6 hours) is responsible for the tear between the viable rim and necrotic core seen in just about every pathology image of DCIS. The model predicts that the necrotic core is “age structured”, with newly necrotic cells (with relatively intact nuclei) on the outer edge, and interior band of mostly degraded but noncalcified cells, and a central core of oldest, calcified material. This compares well with patient histopathology. Comparing the model-predicted age structuring to histopathology predicts a sharper estimate on the various necrosis time scales: swelling and lysis (~6 h) < slow fluid loss (~days to a week) < pyknosis (~10+ days) < calcification (~2 weeks). Because the model only predicts linear / casting-type calcifications (long “plugs” of calcification), other biophysics must be responsible for the variety of calcification types seen in mammography. Among other mechanisms, we postulate a very long-timescale (1-2 months) process of degradation of the phospholipid “backbone” of the calcifications, resulting in degradation of the calcifications. The cracks seen in the central portions of calcifications (in histopathology) supports this view. This last point is interesting: only 30-50% of solid-type DCIS has linear calcifications. This could provide an explanation for that, and may help improve the accuracy of diagnostic mammography. Furthermore, it may explain spontaneous resolution: where calcifications sometimes disappear from mammograms, while the underlying tumor is still present. In this work, we have taken a step towards moving mathematical models from the blackboard to the clinic. We actually can calibrate models to individual patient data. We actually can make testable predictions on things like growth rates and mammography sizes. The next step is to start validating the predictions in individual patients, rather than by the clinical literature. Our team has started doing just that. Our pathologists are getting histopathology measurements from several patients. Our mammographer is giving us calcification sizes and other data from 2 time points for each patient. This will allow us to validate the predicted growth rate in each patient! In the longer term, I’d like to use the model to develop a spatial mapping between the calcification appearance in the mammogram and its actual shape in the breast, as an improved surgical planning tool. I’d like to study the impact of inadequate surgical margins in our simulated tumors. And I’d like to expand the model to the next natural (and significant!) step of microinvasion, and progression to full invasive ductal carcinoma. We’ve taken some nice baby steps towards making an impact in the clinic. And that’s what this modeling is all about. This is really exciting–I’ll be giving a talk at the weekly applied math seminar at the University of California at Irvine in November. 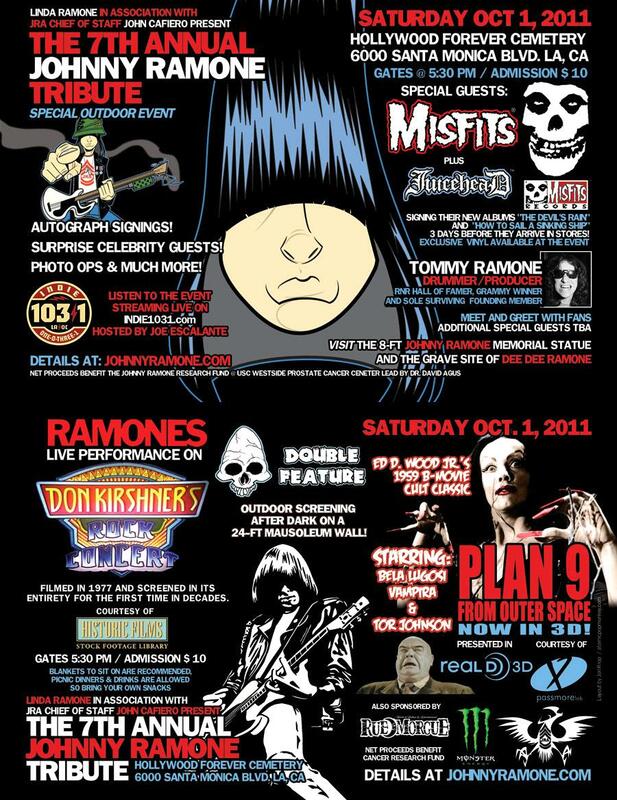 (4:00 pm on November 21, 2011) This will be a fun homecoming, and I can’t wait to catch up with old friends (and potential collaborators)! Many thanks to John Lowengrub for the invitation! 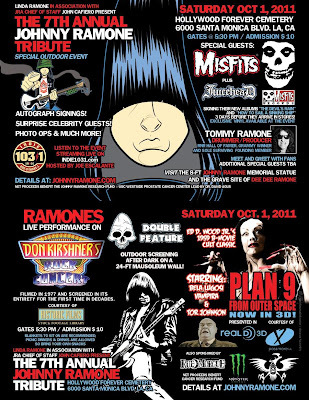 David Agus sent word that there will be a special Halloween / Ramone’s Benefit for our cancer research center. The proceeds will benefit the Westside Cancer Center and the Center for Applied Molecular Medicine. Drop in if you’re in the Los Angeles area–it should be a lot of fun, and the proceeds will help our research towards patient-calibrated cancer modeling! We used my agent model calibration technique, plus a volume-averaging upscaling to calibrate a simplified continuum model of DCIS growth in the breast. We used the steady-state approximation of the continuum model to estimate the DCIS volume. We applied this technique to 17 cases and found a very good match in predicted vs. pathology volume in 14 of 17 cases. We also found that the model was a much better predictor of volume than mammographic estimates (although this can vary with how the mammography is processed). We found that the mathematical theory predicted that a single variable A–a ratio of the apoptotic index, the proliferative index, and the estimated intraductal oxygenation–is a better predictor of tumor volume than grade, PI, or AI alone. The last finding is significant, because you can AI and PI from fairly standard immunohistochemical stains (cleaved Caspase-3 and Ki-67), and oxygenation can be estimated from histopathologic measurements of the viable rim size when comedonecrosis is present. These things can likely be done on pre-operative biopsy tissue. In the long term, this could prove useful for improved surgical planning. Right now, second surgeries are required in 50% or more DCIS lumpectomies due to inadequate pre-surgical estimates of tumor shape and volume. More to come when I post the preprint tonight or tomorrow. For older news posts through July 2011, please see my archived news [MathCancer.org]. All new news will be posted here on blogger.